Thomas Hecht takes great pride in his pupils - their spirit, drive, potential and well earned achievements. This page will feature notable pupils and their recent news. Wang Qiying (China) and Daniel Tang Le (Australia) captivate listeners above in Rachmaninov's Concerto No. 1 in F Sharp Minor. 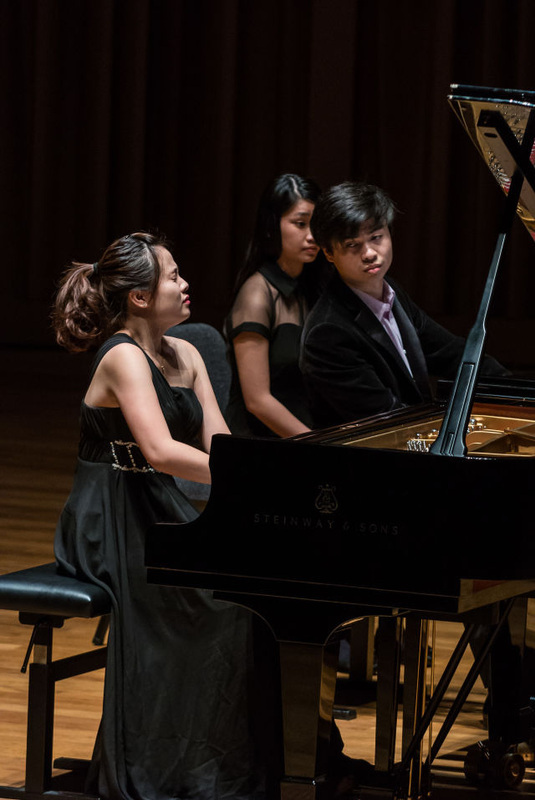 Qiying captured first prize in the Piano Concerto Competition and then went on to win the Conservatory’s Grand Finals, which gives her a debut performance with the Conservatory Orchestra in November 2014. Gabor Takacs will guest conduct. The two pianists displayed great teamwork throughout the evening; she also played the orchestral reduction for Daniel, who won 3rd prize for his Rachmaninov Paganini Variations and also Outstanding Accompanist for his role here with Qiying. Keeping track of former pupils is not always so easy, but it would be great to hear from you. Please send your news for this page and do keep in touch! YST Alumnus Tarin Supprakorn is currently completing DMA studies at Eastman. A winning performance of the Clara Schumann Piano Concerto lead to his critically acclaimed US Debut with the Rochester Philharmonic and earned him a standing ovation from the full capacity audience at Eastman’s historic Kodak Theatre. The Democart & Chronicle wrote:“Supprakorn is a young virtuoso who coolly tamed its fierce technical demands…Supprakorn delivered lyricism and flamboyance while letting Schumann’s distinctive voice speak for itself.” He has served as graduate assistant in accompanying and was recently appointed Teaching Assistant to Professor Nelita True, one of the world’s leading piano pedagogues. Internationally acclaimed Singaporean pianist Abigail Sin has appeared in concert halls across the globe, including Wigmore Hall, Salle Cortot and various venues in the USA, UK, Canada, France, Germany, Lithuania, Ukraine, Romania, Hong Kong and South-East Asia. She has performed with the Singapore Symphony Orchestra, Singapore Festival Orchestra, Philippines Philharmonic Orchestra, Armenian State Philharmonic Orchestra, Dnepropetrovsk Phiharmonic Orchestra, Kaunas Symphony Orchestra and the London Soloists Chamber Orchestra. Abigail’s performances have been recorded and broadcast over national television and radio stations in Romania, Hong Kong, USA and Singapore. Abigail has appeared in prestigious music festivals worldwide, including two residencies at the Verbier and Bowdoin Academies, and has performed in master classes for such eminent artists as Leon Fleisher, Manahem Pressler, DmitryBashkirov, Claude Frank, Earl Wild, Stephen Hough, Emmanuel Ax, Dmitry Alexeev, Gabor Takacs and Dominique Merlet. Abigail has won more top prizes in international competitions than any other pianist from her country. Among these are 1st prizes at the Vladimir Viardo (USA), Virginia Waring (USA), Ibiza (Spain) and Individualis (Ukraine) Competitions as well as 2nd prizes in the Krainev (Ukraine) and Schimmel (USA) and ASEAN Chopin competitions. A National Arts Council scholar, Abigail was admitted as the National University of Singapore’s youngest student ever (age 14). She subsequently completed her BMus with 1st Class Honours and was awarded the Lee Kuan Yew Gold Medal as the top student of her cohort. Abigail was later earned a Masters degree with distinction from the Guildhall School of Music & Drama where she was awarded the Ivan Sutton Chamber Music Award. She is currently completing a Graduate Diploma in Piano Performance back at YST, where she has since resumed her studies with Professor Hecht. 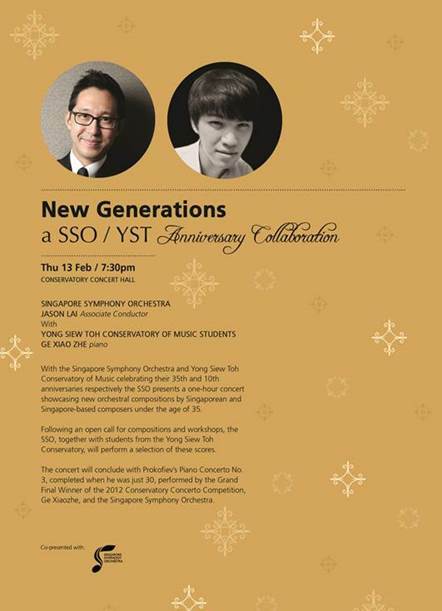 In 2009 she was named South East Asia's first Young Steinway Artist.